One in four major cities is running out of fresh water, but most people don’t appreciate the scope and severity of the issue, least of all the tourists who travel there. 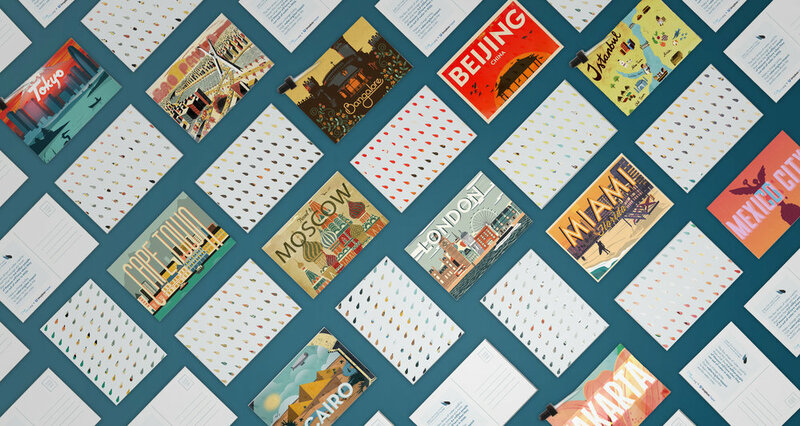 In response to this lack of awareness, we created Crisis Cards: a series of souvenir postcards for tourists to purchase in any of the 12 most challenged cities. The prescribed application of a drop or two of water to the postcard will expose a hidden distress message, revealing the date in which that city will be left barren of fresh water. One in four major cities is running out of fresh water, but most people don’t appreciate the scope and severity of the issue, least of all the tourists who travel there. To raise awareness, we created Crisis Cards: a series of souvenir postcards for tourists to purchase in any of the 12 most challenged cities. 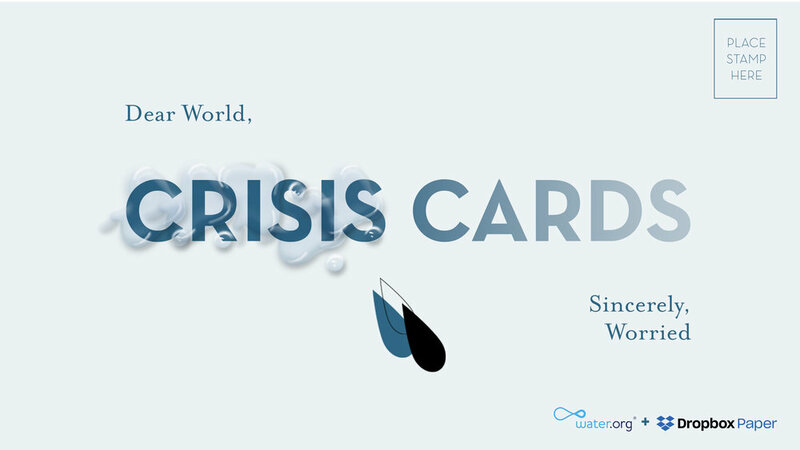 A drop or two of water to both sides of the postcard will expose a hidden distress message, revealing the date in which that city will be left barren of fresh water.